As part of its innovation programme, BAM Nuttall is testing the revolutionary EksoZeroG™ on some of its civil engineering sites. Using it’s innovative exoskeleton technology, the EksoZeroG arm takes up the weight of heavy hand tools such as drills, rivet busters, concrete breakers, and grinders – thereby reducing the physical burden on construction operatives by making working the tools easier on the hands, arms, neck and back. 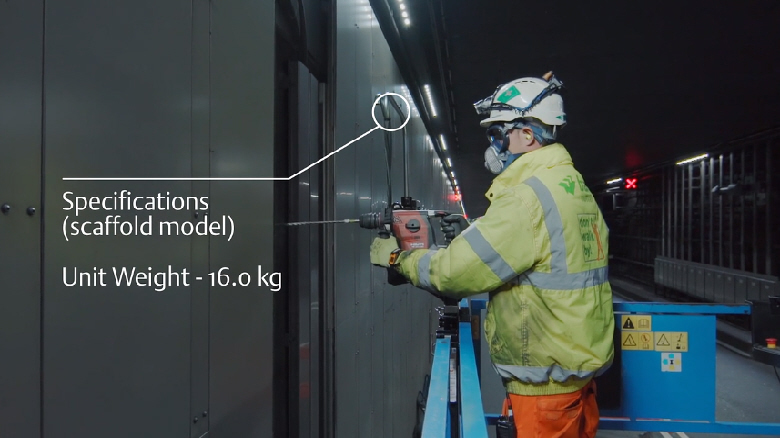 The video, which we filmed overnight at Bam’s Heathrow Tunnel site, shows how the EksoZeroG arm is assembled in under a minute, and then put to work – even at height.